OBD2 Apps can turn your smartphone or tablet to your home mechanic. Would it be a pleasure to read your car’s health on your phone? Phone operable obd2 scan tools let you have complete control of the scanner from your phone and diagnose problems in your car. However, to do that, you will need the best obd2 app. OBD2 apps use Bluetooth technology to connect an obd2 scanner with a phone. All you need to do is download a car diagnostic app on your phone that’s compatible with the scanner and you can control it from your phone. There are many obd2 apps on the market and it can be confusing to choose one. To make it easier for you, we have chosen 7 of the best obd2 apps for you. Bluedriver app can be installed for free. This one of the best free obd2 software in the store. 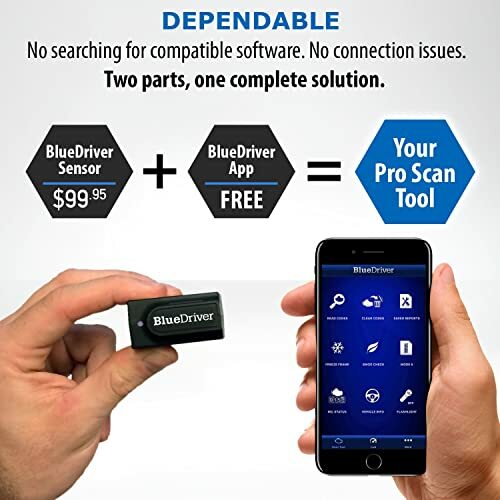 The auto diagnostic app helps control the Bluedriver scan tool which lets you scan and clear car codes from your phone. It also offers enhanced diagnostics including ABS, transmission, and airbag codes. When it comes to quick and smooth connectivity, Bluedriver reigns supreme. Moreover, it works on both the iOs as well as the Android platform. Apart from offering basic functionalities, it offers ABS, airbag and transmission codes in some models too. The app is free to use. 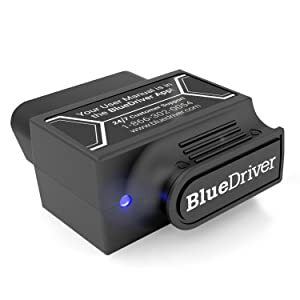 While the app is free to install, you will need to buy the Bluedriver sensor to communicate with the vehicle. This engine diagnostic app lets you perform smog tests, check engine light errors and clear them after offering a fix. 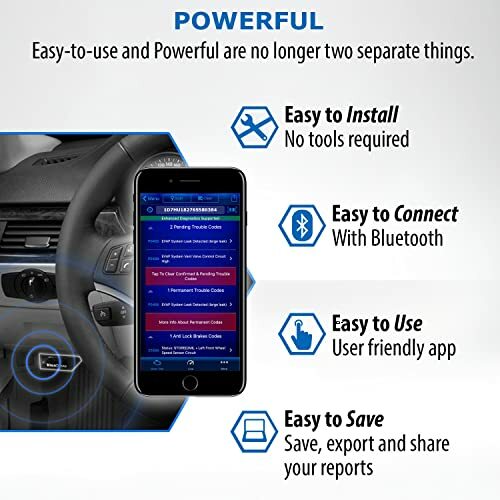 The best part about this app is that it connects automatically to your iPhone or iPad using the Bluetooth technology. Bluedriver app is an ideal one for your vehicle because it offers a verified fix out of 4.5 million fixes for your car problem. With Bluedriver app, you can freeze frame data, see live data on your phone. Connects to iPhone and iPad automatically using Bluetooth. Send messages to the manufacturer using the app. Lets you export .pdf reports. No add-ons and everything is unlocked even if you are not subscribed. Connectivity issues in iPad Pro with iOS 11.x. The app might freeze if it’s not updated. It is for car owners who want to control their OBD2 scanners with their Apple phones and devices without spending any money. Many mechanics and shop owners also use this app with Bluedriver scan tool. OBD Auto Doctor is one of the best obd2 apps for the iOS platform. It has a simple user interface that turns your smartphone into an automotive scanner. There’s a free version available on iTunes, however, in order to avail all the features, you will need to purchase the pro version. This automobile code reader app lets you check and reset car trouble codes from your phone while also checking real-time data. You can perform freeze frame, MIL, monitor fuel consumption and control many electronic control units including system, engine, and transmission. You can perform on-board diagnostics and also track sensor data in real time with your phone. Thanks to the 18000 trouble code fix in the DTC database, most of the codes are read and cleared. USA – All OBD2 car and truck models since 1996. EU, Gasoline – models registered since 1 January 2001 (EOBD). EU, Diesel – models registered after 1 January 2004 (EOBD). See a graphical view of sensor data. Send diagnostics report through emails. With family sharing, 6 members can use the app. ELM327 v2.1 adapters have connectivity issues. Fuel consumption reports aren’t very accurate. Only supports iOS 9 and later versions. This app supports a wide array of vehicles and offers many amazing functionalities. Dashcommand is an engine diagnostic iOs app that is a four-time SEMA Global Media Award Winner for its performance. 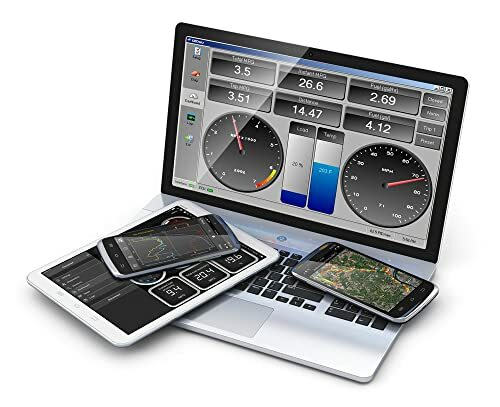 This car tuning apps transforms your phone into an engine data displayer and lets you see a variety of information including acceleration, torque, and horsepower. This app lets you monitor fuel consumption and improve your vehicle’s gas mileage. One of the most likeable features is its ability to customize features. You can place the most used and preferred features on the dashboard for quick and easy use. DashCommand offers many features including analyzing acceleration and brake performance, DTC trouble codes, data logging, trip information (start and end time, fuel cost, distance covered, etc), performance gauges, engine gauges, and fuel economy gauges. Shows fuel level percentage and engine temperature. Reads all basic and many advanced codes. The app doesn’t offer all of the features for every obd2 supported vehicle. It’s a perfect app to connect to an OBD2 scanner from your iPhone or iPad. It’s not free to install but the money is worth it for the features it provides. If performing basic functions is what you’re after then OBDLink is a good choice. With it, you can see and clear trouble codes, freeze frame data, see real-time data, customize the dashboard, do emission readiness test and fuel economy data as well. This app turns your Android phones into a car diagnostic tool and helps you check and clear codes, view live data and offer many other features, too. You can customize the dashboard with features that you use the most. It saves time and enhances usability. The app will let you perform emission tests, read live data, record trip information, use GPS tracking, show oxygen sensor results, show results of onboard testing etc. Lags in a few cars. This is a good app if you’re looking for one that’s quick and easy to use. 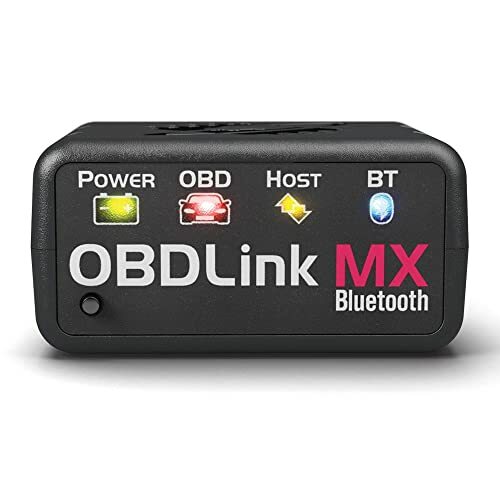 Engineered to accelerate performance over the Bluetooth link, OBDLink MX is up to four times faster than the closest competitor. The OBDLink MX Bluetooth OBD-II adapter provides access to SW-CAN & MS-CAN networks in addition to all legislated OBD-II protocols. Torque Pro lets you do a number of things including engine management, ECU, display car performance, show sensor data, and read codes. It’s a customizable app that also lets you set GPS tracking. 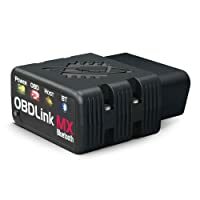 It works best with OBD2/OBD adapters such as OBDKey, PLX Devices, OBDLink, Bluetooth, ELM327. However, it supports many other scan tools as well. Reads carbon dioxide emissions, shows sensor data, reads almost all CEL codes and clears them. Moreover, it reads and speaks alarms and warnings (for example, when the coolant temperature is rising). It supports all obd2 scanners perfectly and lets you use your Android phone to control it. Select from various color schemes. Shows dynamometer, horsepower, and emission information. Lagging in HTC and Samsung phones. This app supports all obd2 vehicles and supports Android version 2.0 and above. It has a user-friendly interface and tons of built-in functions. Carista is another free app that can perform many functionalities such as basic obd2 diagnostics and emission tests but you must need to buy a subscription to use all the advanced features. Carista is an amazing app that works on the Android platform. It offers a plethora of basic functionalities on the free version and offers many advanced ones too when you buy the subscription. The advanced functions you get to use are ECU, EPB, TPMS, Customization, coding ABS/Airbag etc. The paid version offers ECU, EPB, TPMS, customization and coding, ABS/Airbag and other advanced features. It supports almost all OBD2 adapters and vehicle makes. 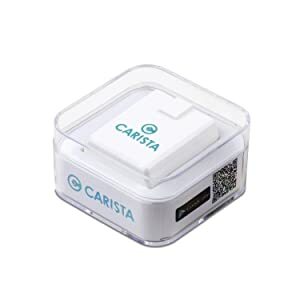 It connects to your obd2 adapter and communicates with your car to diagnose problems. You can reset engine light codes, see live data and perform basic functionalities with the free version. Advanced features such as ABS, Airbag, navigation etc are supported by a few models only including SEAT, Volkswagen, Audi, Skoda (VAG), Mini, BMW, Toyota, Scion, and Lexus. However, you must buy the paid version to avail them all. 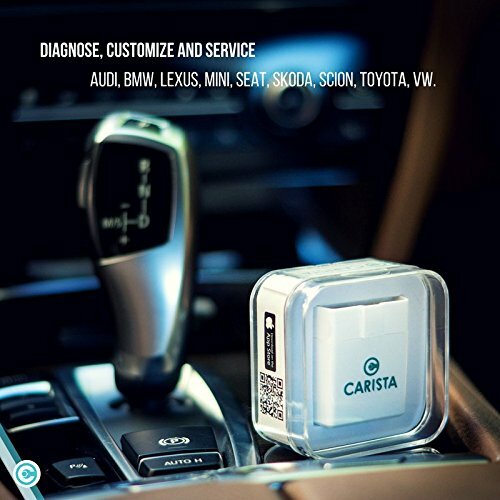 Carista app serves as a personal assistant to your car. With the customization feature, you can auto lock doors, and even auto turn on the engine lights when the car is turned on. With the paid version, you can launch the control counter, see detailed ECU information, and service reset. It supports all obd2 models after 2000. 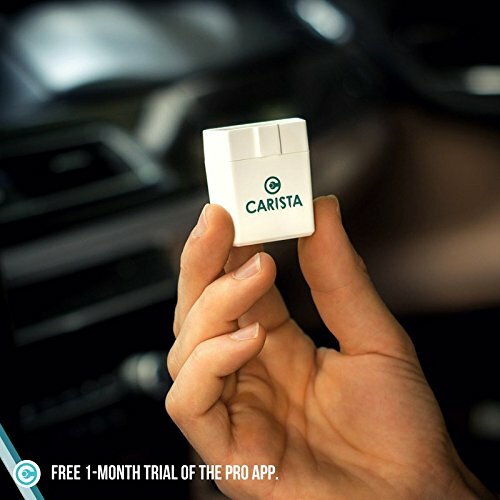 You get a free one month trial to use paid features if you use Carista adapter. Passes an overheating alert if the temperature is rising. Use advanced functionalities after purchasing the app. All obd2 adapters might not be supported by the app. Need to diagnose a warning light? Want to activate hidden features and get rid of annoying beeps? Want to have dealer tools in your glovebox? 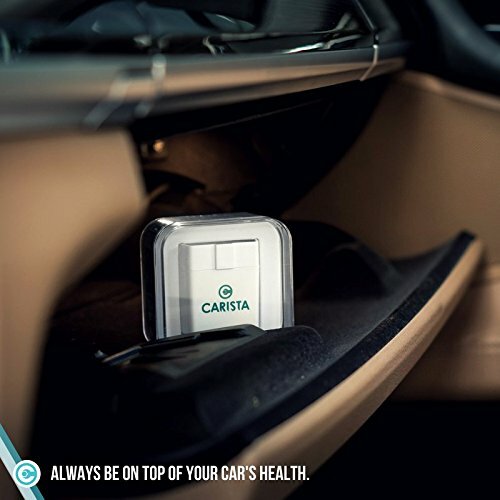 Carista gives you all of that for a fraction of the cost of a single dealer visit. This app gives you full control of your car’s obd2 adapter on your phone. If you can spend a few dollars and buy the subscription then this app is worth it. OBD Car Doctor Pro is amazing when it comes to displaying real-time diagnoses. However, you should have an ELM 327 or compatible adapter. Beginners and experts both love the app as it is not complicated to use. The interface is friendly and it supports many basic functions and advanced features as well. With this app, you can store and share DTC data with a mechanic or any person, record various parameters that are running in the background, freeze frame data, CEL lights, and check fuel consumption. It supports ECU on some models, reads and records real-time parameters, reads car’s sensor data, supports economy parameters, etc. Lets you read multiple parameters. Shows real-time data in charts. Quick when it comes to using. It might disrupt the WiFi connection on the phone. Might not support cheaper obd2 scanners. Stability problems with the Bluetooth connection. This app is good for beginners only because it doesn’t support advanced features. Make sure to check if the app you are installing is compatible with the obd2 adapter or not. You can visit the official website of the app to know which vehicle models and adapters it supports. Buy a subscription for advanced features.